Srichand and Gopichand Hinduja are officially the richest people in the UK, with an enormous fortune of £16.2 billion. 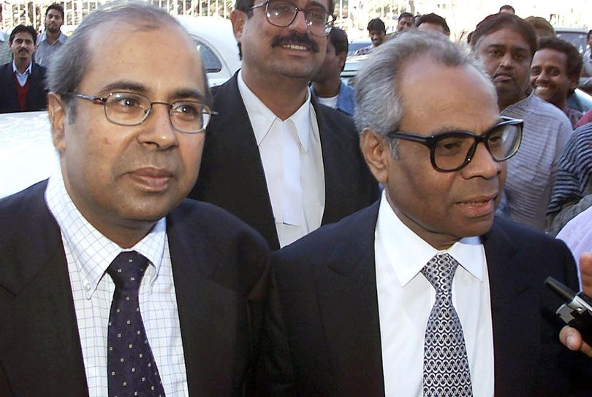 The brothers are two of four siblings who took control of their family's huge business empire, the Hinduja Group. Globally, the business belongs to all four brothers - Srichand, Gopichand, Prakash and Ashok, with Sri, 81, and Gopi, 77, mainly managing UK interests. The brothers first made to the top of the Sunday Times Rich List in 2014, when their wealth stood at £11.9 billion. Their multinational business is the brainchild of their, Parmanand Deepchand Hinduj, who originally traded goods in the Sindh region of India. He moved the business headquarters to Iran in 1919, before his sons moved the base to London in 1979. Shortly before their father died in 1971, the brothers claim he told them to "advance fearlessly". The sons expanded the business globally, with investments in everything from trucking to banking, IT and media. Sri and Gopi's latest business quest in London involves the £350 million development of the Old War Office - Winston Churchill's base during World War Two. The historic building will be transformed into a stunning five star hotel, complete with a ballroom for 600 guests, an 82ft swimming pool, a spa, two wine cellars, a rooftop bar and 88 apartments - each with five bedrooms. Hinduja Group acquired one of its largest enterprises in 1984 when they bought Gulf Oil. In the past year, the investment value of that purchase has increased by £870 million. The group also acquired Ashok Leyland in 1987 - now India's biggest vehicle manufactuer. Their main British company, Hinduja Automotives is chaired by Gopi and turned over £2 billion between 2016-2016. While they may head up the rich list for the phenomenal wealth, Gopi recently said: "If you consider one to be rich because of his money, you are wrong. "I consider someone to be rich if he has good friends, good contacts, good relationships."